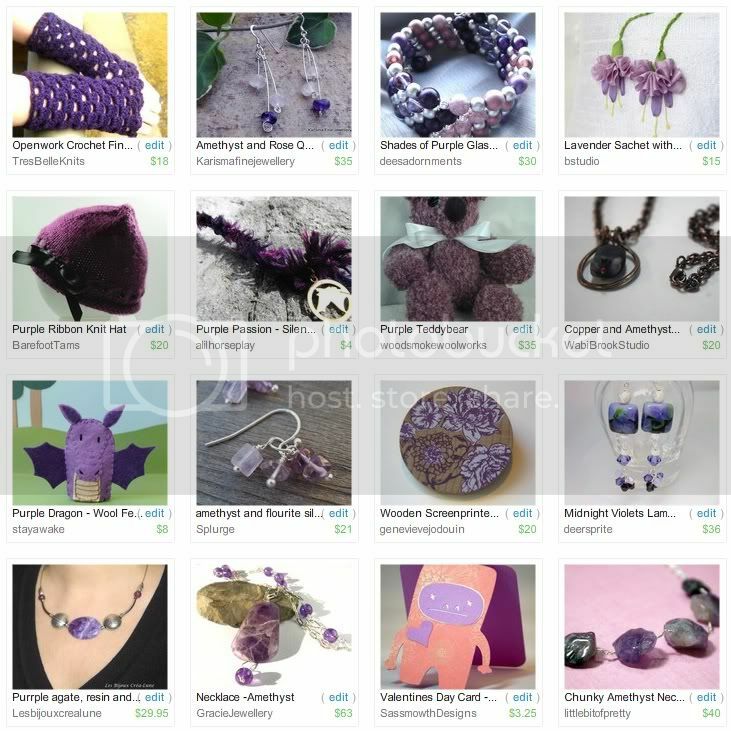 Making an Etsy Treasury is a lot of work - it’s almost as tough as photographing, describing and listing items in our shops. So once all that time has been put it, it’s sad to know that in just 48 hours our beautiful collections will be gone. Last year, I was asked to share the techniques that I use to capture treasuries and share them on my blogs. Being able to save the image of treasuries that we make or get featured in is great, but sharing them with our friends and readers is even better. My original tutorial for capturing treasuries was created for PC users working with Windows Vista or XP. Anyone who has recently upgraded to Windows 7 may know that the process has been greatly simplified. So, I have revised the instructions and will share them here. I’m going to list each step as clearly as possible, so if you’re just getting to know your computer or the internet, hopefully these instructions will be helpful to you. One: Open your internet browser and find the treasury that you wish to save. Scroll down so that all of the items are centered in the window, and nothing is cut off. Two: Take a screenshot of the page to grab the treasury. Hold Ctrl on your keyboard, and press Print Screen [Prt Scr]. Three: Open the Paint tool in Accessories. Paste the treasury screenshot onto the page. Hold Ctrl and press V.
Four: Click on the tool icon that shows a dotted rectangle. Use your mouse to draw a box around the treasury, only capturing what you want to show. Leave a few mm of boarder around the edge, and try to make all of the sides evenly spaced. Five: Select “Crop” from the tool menu. 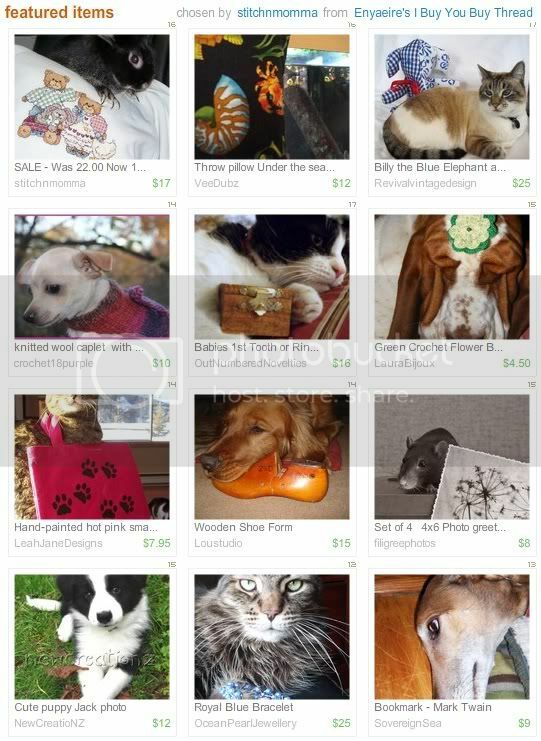 This will automatically trim away all of the excess image, and leave you with a tidy screenshot of your treasury. Save the new file with a unique name - I usually use Title/Curator/Date. Do not save it as a BMP file, or the image will be distorted. Now that you have this image of your treasury, you can upload it and share it almost anywhere you want to. 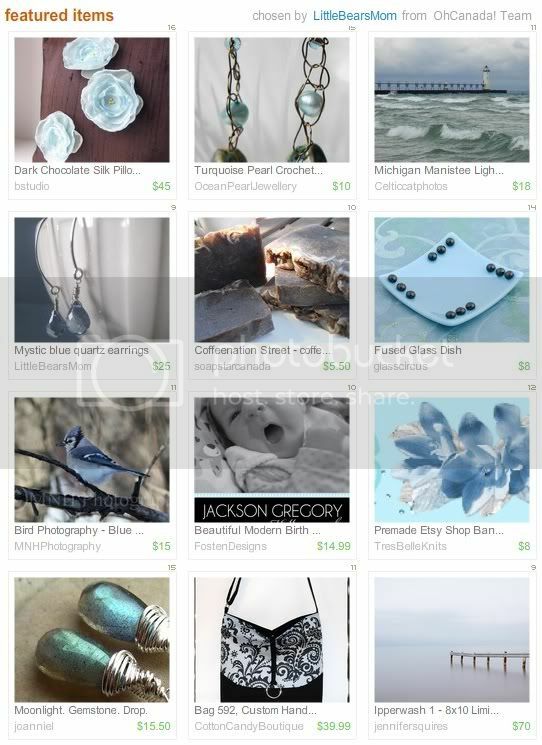 A few good places to show off an Etsy treasury are your Facebook page, Flickr pool, and your blog. Most blog platforms allow you to upload images directly from your computer; but with a few extra steps, you can show off your treasury, and improve the look and SEO of your blog at the same time. One: You will need to upload your treasury snippet to an image hosting site like Photobucket. Be sure to upload it to the correct album or sub-album. If necessary, relocate the file before completing the next steps. Two: Copy the Direct Link URL for your hosted image. Replace YourImage with the URL for your picture. Replace ImageTitle with a name for your picture. The alt tag will create a text caption if viewers have HTML turned off, or if the image doesn’t load properly. You’ve probably seen these before. Instead of a picture, a box with a red X will appear, and if the alt tag is used, the name of the image will also show. The title tag will create the yellow caption that appears when you hover your cursor over an HTML image. Both of these tags can also help your picture and blog show up in search engines, so it’s a good idea to use relevant keywords in your image title. 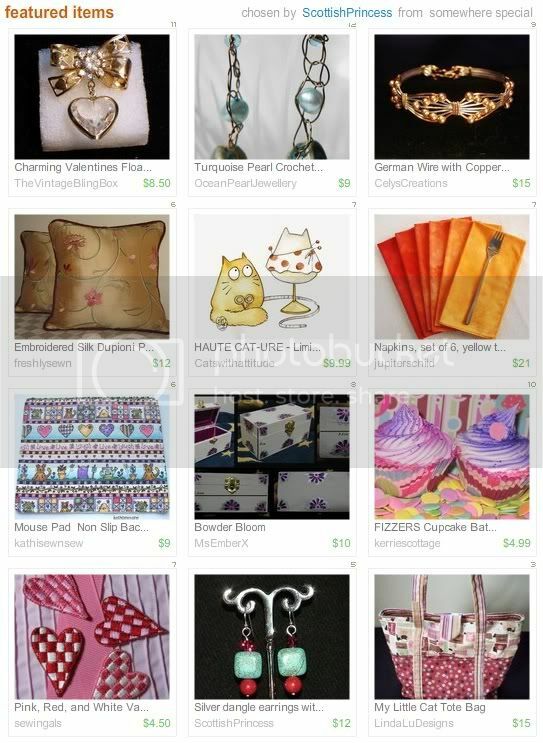 If you want to link back to the actual treasury that you are sharing, remember that Etsy treasuries eventually expire. Broken links aren’t good for SEO (Search Engine Optimization), so it’s a good idea to remove the link code after the treasury has expired. The target=“_blank” code will make the link open in a new window (unless the viewer right clicks or has tabbed browsing set up). This will make sure that readers don’t lose track of your blog when checking out your link. Four: Set the alignment for your image. 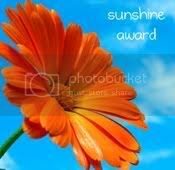 <p style="FLOAT: left; MARGIN: 0px 10px 10px 0px;"> for left hand images. To make a handy reference of the HTML code, you can highlight and copy it, and save it to a text file, like Notepad or WordPad. If you upload images to Flickr, you can also use their handy "Blog This" tool to show of single treasuries. This option only works for one image per blog post, but it's great for adding a quick blurb to your blog. 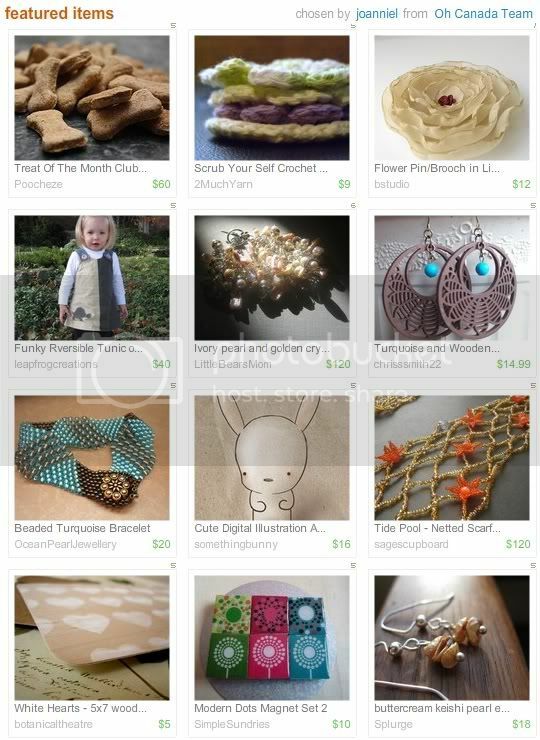 To find out when a new treasury spot will open up, check in with the Treasury Clock on Craftopolis.com. It keeps track of Treasury Main and Treasury West, and provides a fairly accurate countdown to the next opening. This week's featured item is a beautiful floral pillow. The pillow features Kaffe Fassett print fabric and hand embroidered flowers and leaves. The soft and feminine flowers would look wonderful on a bedside chaise or a sun room futon! Visit bstudio to see even more wonderful silk and embroidery designs, from pillows to jewelry and more! 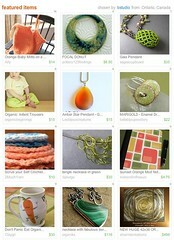 Also featured today is a lively treasury by Joanniel called Canadians Love Etsy. This collection features a unique array of designs from the Oh Canada Team. What kinds of images come to mind when you hear the word knitting? Is it a granny in a rocker making wedding blankets for her grandchildren? 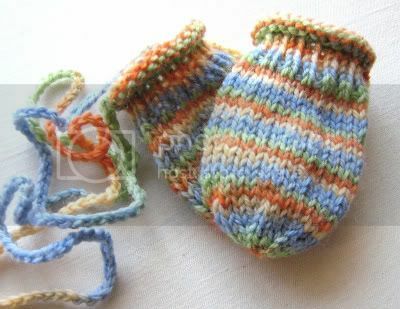 Do you think of mittens and toques? While these traditional forms of knitwear are still popular, there are even more ways to make fibers fabulous. In the Knit Gallery, you can find a wide variety of handmade treasures, from knit jewelry and accessories, to sweater pins and even knitted stationery! 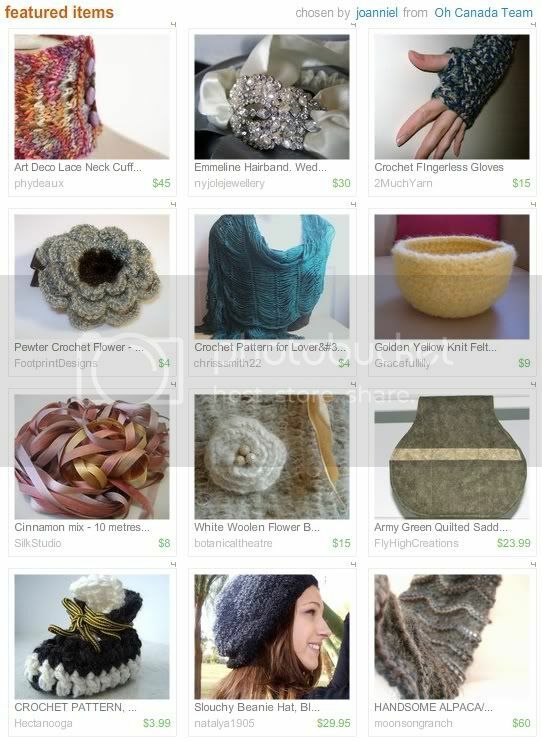 Oh Canada puts the spotlight on Arly and her knit creations. Oh Canada: Of all the things that you create, which item or style is your favorite? Arly: Designing is rather new to me as I used to simply knit from patterns that I would find in books and magazines. Right now my favorite style is cables! 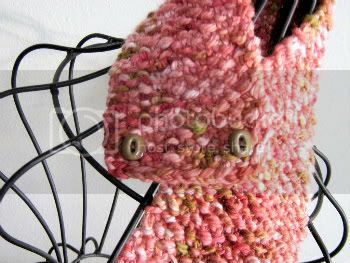 I will knit almost anything that has cables in it from purses to Twilight inspired mitts. Arly: I learned to knit as a child from a combination of forces! My grandmother taught me and this was reinforced by various Brownie leaders. An aunt taught me how to knit and another aunt taught me to needlepoint. All in all (with the exception of my mother) both sides of the family are pretty "crafty". I didn't really take up knitting until I was in my early 20s - right at a time when knitting was not "in" and yarn stores were closing every day! Poor timing on my part for sure. Arly: I love the wool. The texture, the colours, the possibilities. My day job is not at all creative and if I didn't have a creative outlet I would simply go mad! As soon as I am on vacation and my brain is not in work mode it is as if a switch has been flipped and I can't stop coming up with ideas to try! Arly: I would like to learn to machine knit. I know that is shocking. Most handknitters shun the machines! I would just love to be able to see all of the different designs come to life in record time! 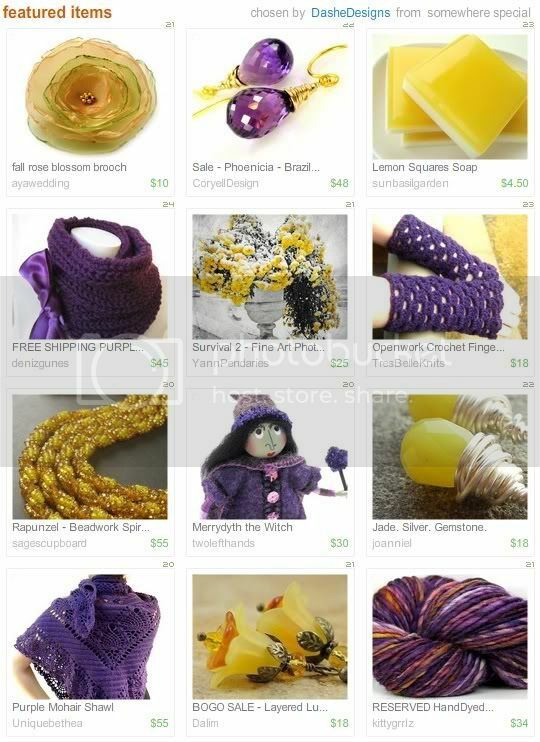 Arly: Ahh, with knitting there are always new products! I want to make more purses this year. I have lots of lovely handles and lots of nice thick yarn. And yes, there will be cables on those purses! And I have four large hanks of yarn that are waiting to be made into toddler sweaters. Arly: One of my first sales was to Tanzania. For some reason that just thrilled me. 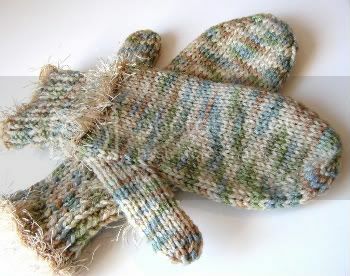 To think that something I made could travel all that distance to warm someone else (they were fingerless mitts). I also "chat" with a lovely bunch of crafters on one of the threads and I feel that I actually have these new friends in my life and that is really lovely. Arly: The best tips that I was given: Make sure your location is listed; use all of the allowable tags and all five pictures; take the best pictures you can; don't list all at once - oh wait - did you say number one tip? Arly: I would have to say cards, although I also seem to buy a lot of soap and earrings! Arly: Mitts of all sizes! You can see even more of these wonderful knitted designs in her Etsy shop, The Knit Gallery by Arly. If you love knitting, or want get started on a new hobby, she also has a selection of PDF patterns to try! You can take a look at Arly’s designs and inspirations by checking in with her on Flickr. This week's featured item is a cozy pie hat by AnnyMay. Made from blue fleece and repurposed denim, this is recycling at it's finest. It's the perfect accessory for wearing while you cheer on your favorite winter sports team! Check out her shop for even more ecofriendly, handmade clothing, and some cheerful, bilingual customer service! Other team members in the spotlight today include Joanniel, who was recently featured on the front page in this beautiful treasury. You can check out all of the items featured in The Vault on Craftcult.com. This collection was curated by SayYourPiece. 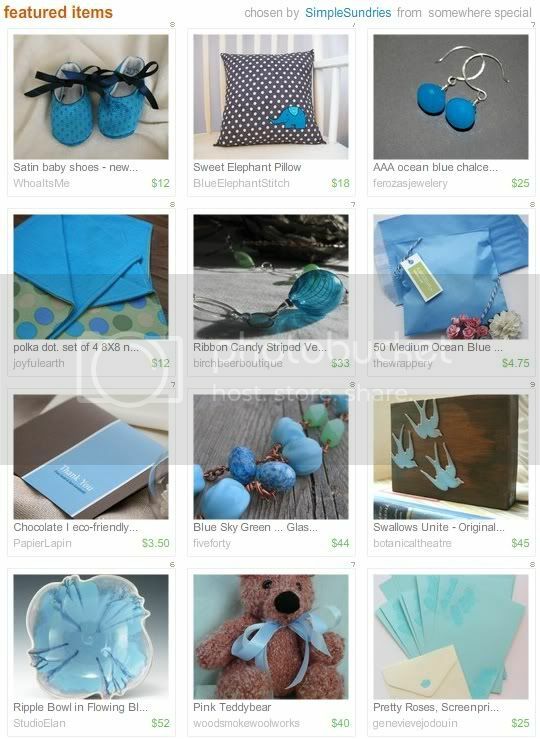 This lovely team treasury was curated by Little Bear's Mom, and features some wonderfully gorgeous Moody Blues. Dalim (aka Dashe Designs), a new member to the Oh Canada Team, shares this cheerful treasury with a bright contrast of colors. Yellow and Purple features some beautiful team creations. With the 2010 Winter Olympics now in full swing, proud Canadians are tuning in to events to cheer on their favorite athletes. Although hosting the Olympics for the second time is a tremendous honor, one has to wonder what effect the Winter part has on our county’s reputation for cold weather. Will we ever have a chance to host summer games? Although we are known for chilly Northern weather, Canadian summers are gorgeous and warm. In some areas, you could probably fry an egg on the sidewalk during the sweltering summer months. With an abundance of lakes and rivers for swimming, and plenty of forest for camping, Canadian summer vacation is something to look forward to. Sunrise, Sunset features some deliciously golden orange picks from the Oh Canada Team. This treasury is a great reminder of weather to come. Soon the mornings will no longer be frosty, and barbeques will be calling out to be lit. This collection was curated by team member Soap Star. Red and White, by Simple Sundries is a wonderfully patriotic collection of Canadian made items. The colors of our flag are a classic combination that never goes out of style. Like birthstones, each month of the year has it’s own special flower, dedicated to those born within that month. In February, the official flower is the violet. Violets are common in many North American gardens, and are often given as gifts in indoor planters. Though they come in a variety of colors, the purple violet is the most common. In addition to being mildly fragrant and very pretty, the petals and leaves of violet plants also have sweet taste, like pea pods. They are often used as garnishes in salads and desserts. These versatile little flowers are a wonderful preview to spring. 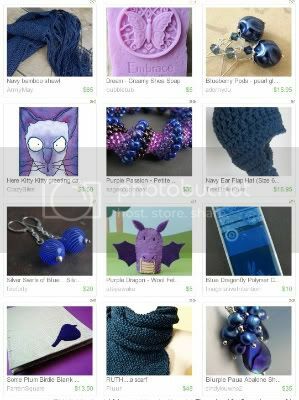 As a tribute to February’s flower, here is a selection of wonderful violet inspired items and purple picks from the Oh Canada team. To see even more designs like these, add the tag OhCanadaTeam to your searches on Etsy.com. One of the most wonderful things about shopping on Etsy is the amazing array of unique and specialty items to choose from. If you’re crazy about vintage toys, or insist on all natural beauty products, there are many, many sellers that have exactly what you’re looking for. Then there are the surprise discoveries, when you stumble across a handmade product that you didn’t even know you wanted until you saw it. There are so many great artists and makers offering one of a kind creations and original products that it’s a shopping paradise! 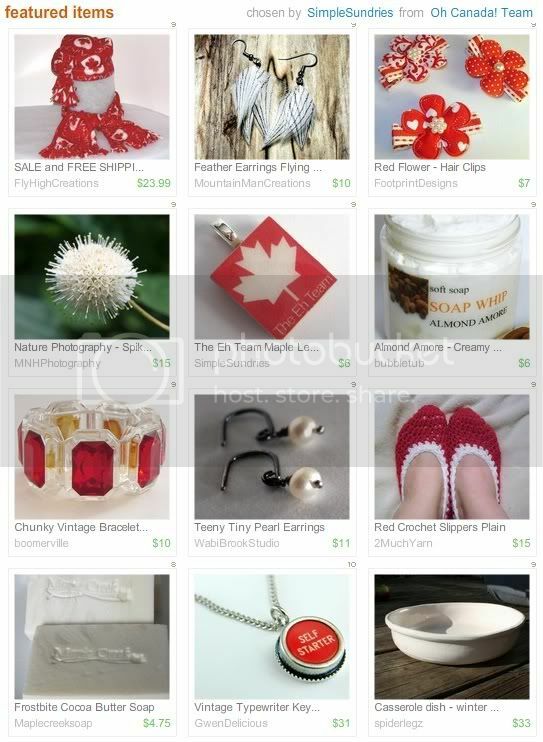 Today’s selection of Oh Canada Team treasuries features a delightful mixture of items within assorted themes. We can’t always have a huge collection of our favorite things, but we can put them together in a treasury for others to enjoy with us! The aptly named Pink Champagne, by Simple Sundries, is full of elegant rose and taupe items. The unique shade of pink has a lovely vintage feel to it, like party gifts for a Victorian sweet sixteen. Herbally Yours features wonderfully Earthy picks for anyone who loves the garden or natural living. Among these selections are some adorable potted herb gift tags by Oh Canada Team member Suzie’s Cards. 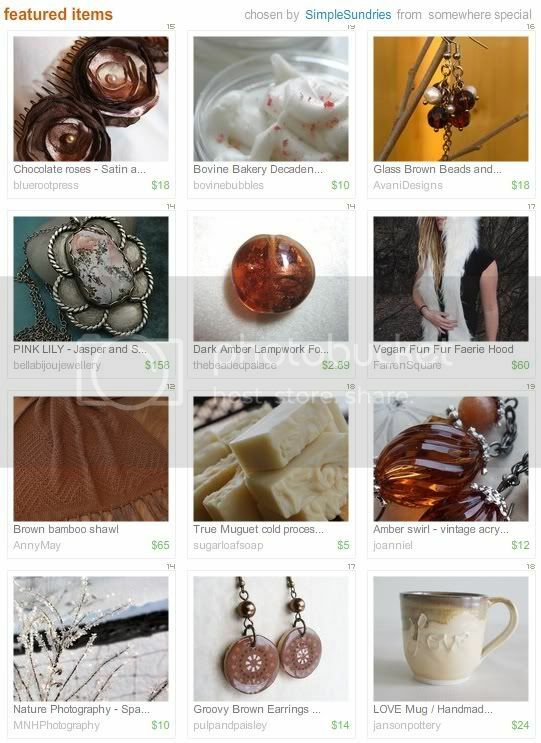 This treasury was curated by AquarianBath. Beautiful Blues by Simple Sundries is a great sky-colored collection. These pale, clear shades of blue create feelings of tranquility and peace. Just in time for the start of the 2010 Winter Olympics in Whistler, BC, littlesistahstudio has created a beautiful collection of First Nations inspired art. It includes pieces with both Inuit and Haida influences, as well as other familiar Native themes. Cultures of British Columbia features a necklace from The Sage’s Cupboard. If you’re ever stuck for ideas when planning a treasury, just think of a few of your favorite things. Share your passions and preferences for colors, tastes and styles. Opinions on the necessity and usefulness of a holiday like Valentine’s Day are diverse. Some people insist on a romantic dinner or expensive gift. Many families celebrate the day of love with thoughtful gifts and treats, and encouraging kids to be kind to others. Some people do not celebrate Valentine’s Day at all, because of it’s hugely commercial elements, which have been dominant for the last few decades. Regardless of controversy, many girlfriends, wives and moms may wake up to a scrumptious breakfast in bed tomorrow morning. Kids will enjoy cookies with pink icing. Couples will dine on heart shaped pizza. Even furry family members will be treated to something special! Surprises and delights will fill the day. Not everything about this holiday has to be pink. 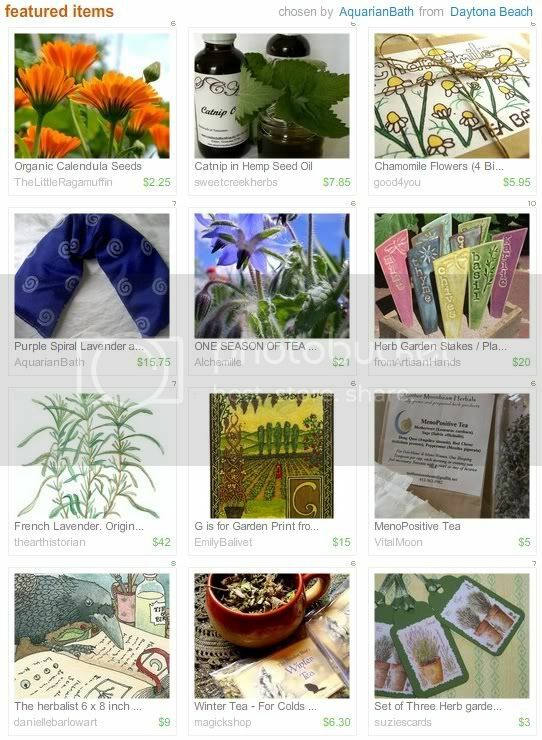 A treasury entitled Surprise Surprise is filled with wonderful green gifts that have a hint of spring warmth. This collection was curated by Dalim, and features team members bstudio, 2 Much Yarn, and Wabi Brook Studio. Pretty Knits, by Joanniel features many Oh Canada Team fiber creations. These warm and cuddly accessories also make great gifts, especially on days when warm weather is just a distant dream. Cats and dogs need a little extra love, too! This treasury was inspired by Vicki Diane’s Artists Exposed series, and features the four legged assistants of many Etsy artists. Oh Canada Team members Ocean Pearl Jewellery and Leah Jane Designs have joined in the fun. No matter how you feel about greeting cards and pink candy, take a moment to hug someone tomorrow, and spread some love around. Happy Valentine’s Day! 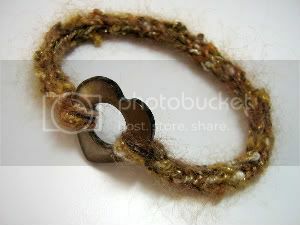 To see more warm and wonderful accessories like these, add the tag OhCanadaTeam to your searches on Etsy.com. Sea Green Serpentine and Boulder Bracelet From the collection of Dee-AnnL. This semi-precious stone and sterling silver bracelet features sea green serpentine chips and stone-shaped silver beads. The natural appearance of these baubles is balanced by the alternating bead pattern and pretty ornate clasp. This lovely piece would make a great accessory for special occasions - from gallery openings to graduations. 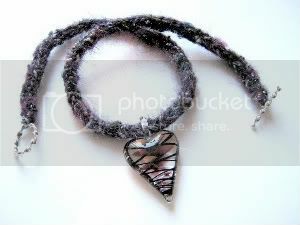 To see even more designs like these, visit Dee’s Adornments. 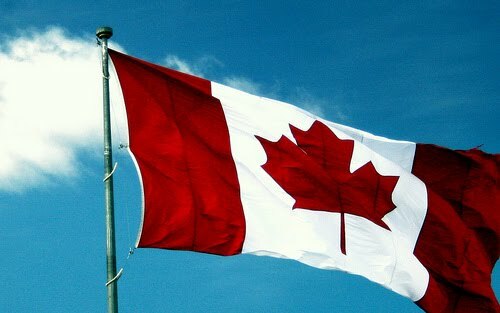 If there were a book of guidelines for being a patriotic Canadian, what would it say? Must Love: maple syrup, strong beer, icicles, hockey, furry woodland creatures and the maple leaf? Perhaps. Or maybe it would only be a polite suggestion to do whichever of those things you like the most. 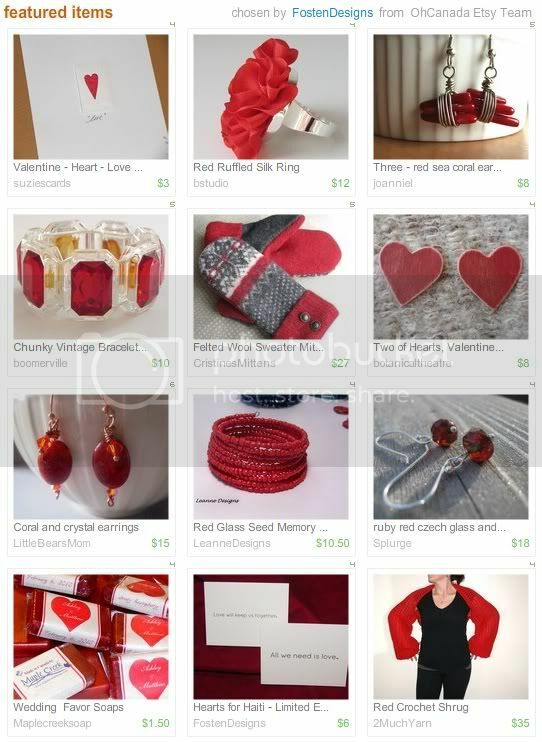 Maybe it would hint that red and white are the best colors to wear, to decorate with, and to look for when you make an all Canadian Etsy Treasury. This collection was curated by Fosten Designs, and features members of the Oh Canada Team. To see even more designs like these - in your favorite colors - add the tag “OhCanadaTeam” to your searches on Etsy.com. When asked to describe nature, most people will probably think of green things like trees, flowers and grass. Perhaps they will think of animals, who are very likely surrounded by trees, flowers or grass. Although flora and fauna make up huge portions of the nature pie, there are many more things in nature to enjoy that aren't, precisely, green. Mountains, rocks and sand are all important in nature. So are water, clouds and rain. These things are just as beautiful as their living, breathing counterparts. 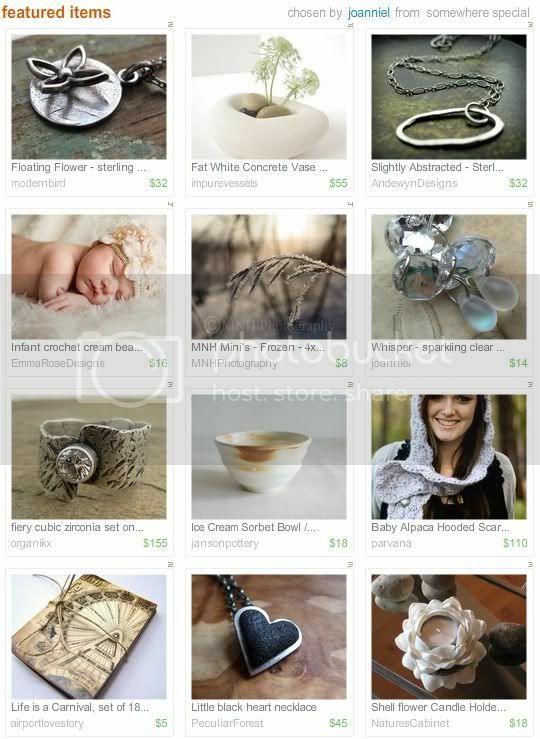 Deep Natural Beauties, a treasury by Anny May, reminds us just how beautiful nature’s neutrals can be. The deep shades of obsidian, mahogany and jet are simply gorgeous. All of these amazing creations are from our Oh Canada Team members. And now for something completely different, team member Joanniel shares a whimsical treasury entitled Edible Treats for You, and Your Little Dog, Too! Team member Poocheze’s Gourmet Dog Treats are just what a loyal dog like Toto needs. And if you’re going to treat yourself, why not your best friend, too? In almost every corner of Canada, multiculturalism is as routine and comfortable as a morning cup of coffee. We embrace the diversity that makes our home a great tapestry of traditions and tastes. A treasury titled Oh Canada, also embraces our diversity. This pretty collection shows just how different our team members are as artists, and just some of the wonderful things we can create. Anyone who grew up watching Sesame Street knows that there’s nothing fuzzier, friendlier or more cuddly than a monster. And the only thing better than a cuddly monster is one that is also kind to the Earth. 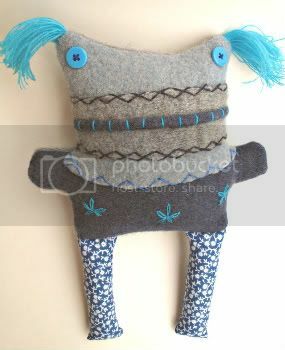 The adorable Wooldebeast friends are kind as can be, made with repurposed wool and recycled Ecofill stuffing. Shop owner and designer Sarah makes these fuzzy friends, along with a selection of fashionable felt bags and fur-ocious mittens from her home in Toronto, Ontario. Oh Canada has put the spotlight on Sarah and the beasts. Of all the things that you create, which item or style is your favorite? Sarah: I love designing and sketching beasts, playing colours against each other and hand-embroidering their faces. Sarah: When I was a wee little thing, I used to sit on the spare bed where my mom quilted and I’d embroider. I was a country mouse then, and everyone – me, included – took 4-H classes and learned to sew. Later I went to art school and specialized in craft design and making. I teach, too and learn lots from students! Everyone has different motivations for making their unique wares. What drives you to create? Sarah: Drawing and making are a way of life, and something akin to breathing. If I’m not making something, I get restless! If you could learn to use any new technique or material, what would it be? Sarah: Although I embroidered alongside my quilting mama, I didn’t pick up her craft. 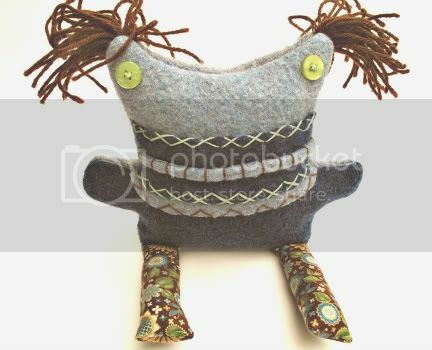 I’d like to know how to assemble and bind a quilted wall-hanging -- of beastly faces, maybe? Any plans to incorporate a new product into your shop this year? I’d like to make mother and child beast combos, or even families. 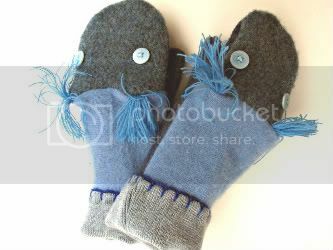 People have asked for beastly mittens for adults, so I’ve got to get on that for next season. 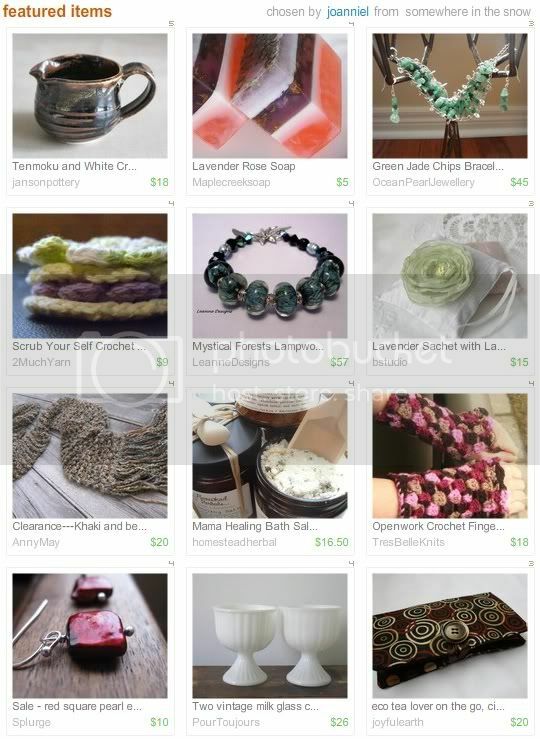 What is your favorite thing about selling on Etsy? Sarah: Making is a solo gig (although I team up with my neighbour Jocelyn for weekly sew-fests) and so Etsy is great for giving community to craft. I’ve recently joined the Plush Team via Etsy, and the support from that group is fantastic. Do you have a number one tip for new sellers? Sarah: Research! 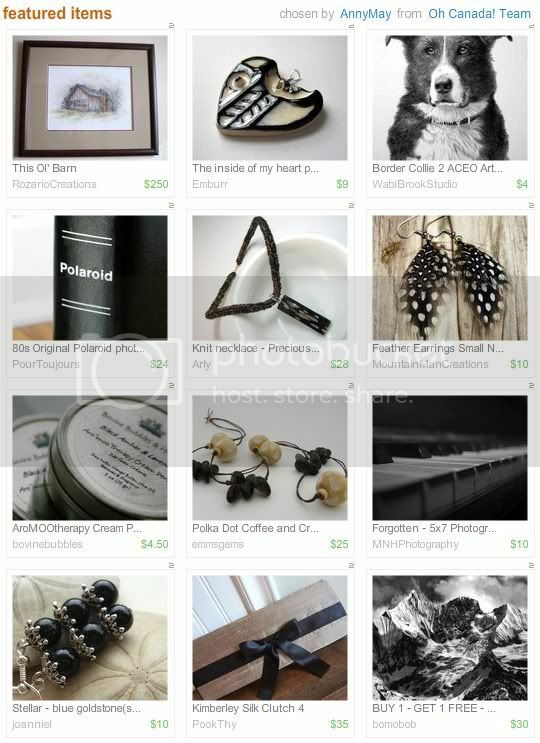 Check what’s out there – there’s so much information on Etsy about what buyers love (“heart”) and buy, so use it! On the other hand, make something you love enough to sustain your interest. 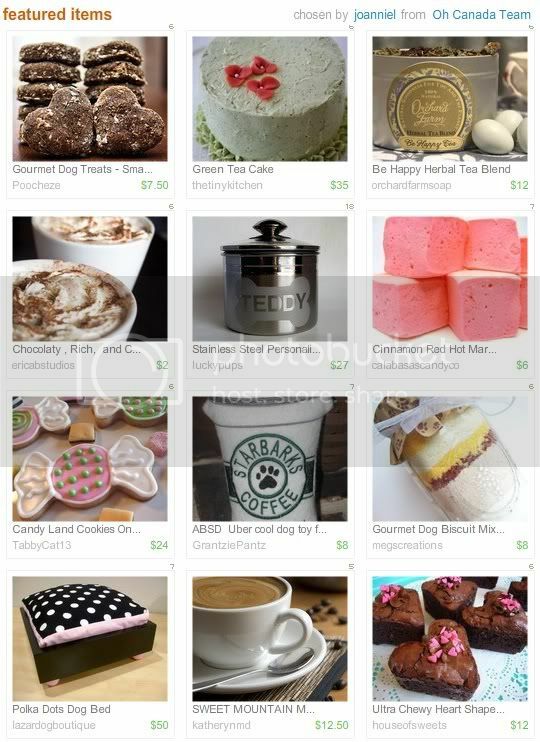 What is your favorite thing to buy on Etsy? Sarah: I bought a gorgeous crocheted scarf from AuntieDawn for a Christmas present. I search out local Canadians for gift-buying. What is the number one best item in your shop right now? Sarah: Beasts! I have two sizes, but people seem to like the larger, 12” ones best. You can see all of Sarah’s creations in her Etsy shop, Wooldebeast. You can also stay up to date on her latest additions and sales by following her on Twitter. 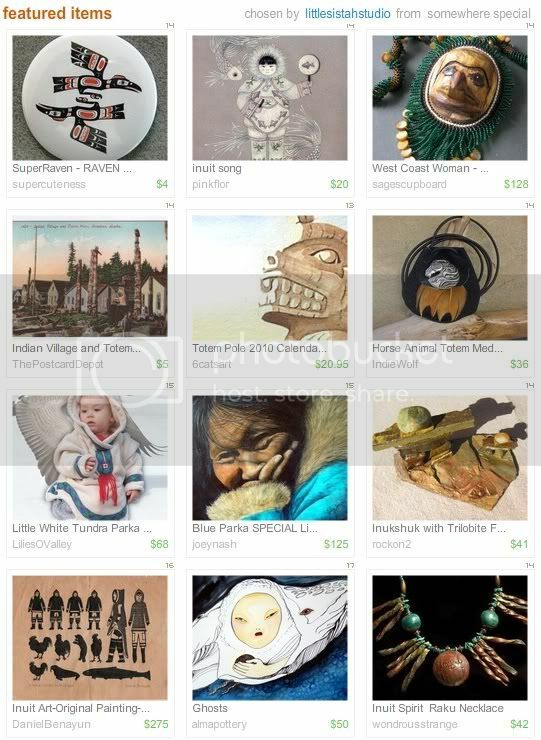 To see even more fantastic art by Canadians, add the tag “OhCanadaTeam” to your searches on Etsy.com. Put Us on the Front Page! 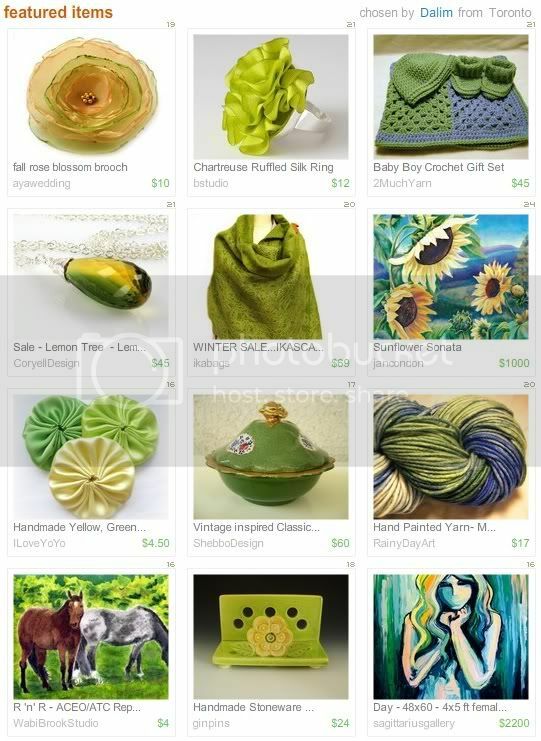 The Etsy Treasury is a wonderful place to see not only gorgeous, front page worthy products, but wonderful collages as well. Each collection is a work of art, full of inspiration. This weekend, the Oh Canada Team is well represented by some very talented curators. Never a Dull Moment by bstudio is a fun and playful collection of Canadian made items with a generous dose of reds and pinks. This treasury could be a scrapbook of favorite things - memories of visiting a charming relative during summer vacation. Hot Chocolate by Simple Sundries is full of gorgeous browns and whites, like a cup of rich cocoa with real whipped cream. Just gazing on this collection gives a warm, cozy feeling; the selections are to-die-for. Put Me on the Front Page by Joanniel, is a gem of a treasury. Each item is beautiful on its own, and the set is tied together with a silver and gold color scheme that has just the right amount of sparkle. This collection features items from Oh Canada members MNH Photography, Organikx, and Janson Pottery. 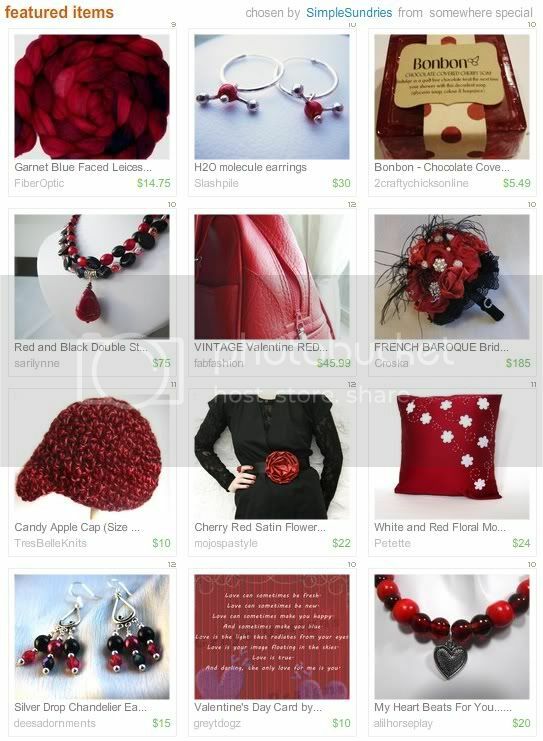 The Power of Red by Simple Sundries is lusty and luscious. These tempting scarlets are a great preview to Valentine’s Day, which is just around the corner. 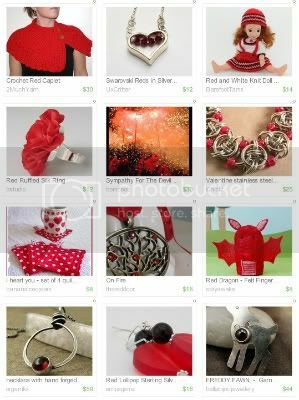 This treasury features items from Slashpile, Two Crafty Chicks, Sari Lynne, Fab Fashion El Emporio, Tres Belle Knits, Dee’s Adornments, Greyt Dogz, and A Lil’ Horse Play. Finally, Green with Envy is alive with springtime hues, and features team members Footprint Designs, Lucky Lucy Style, and Splurge. 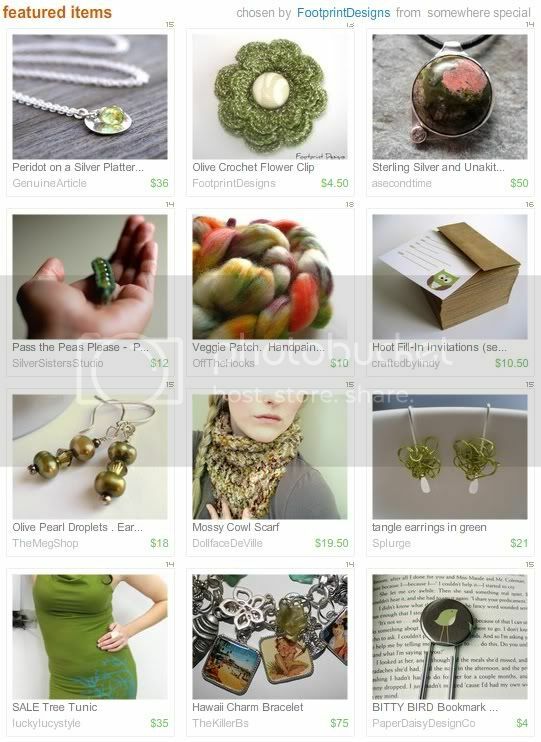 You can see even more gorgeous team treasuries in our Oh Canada Flickr group. 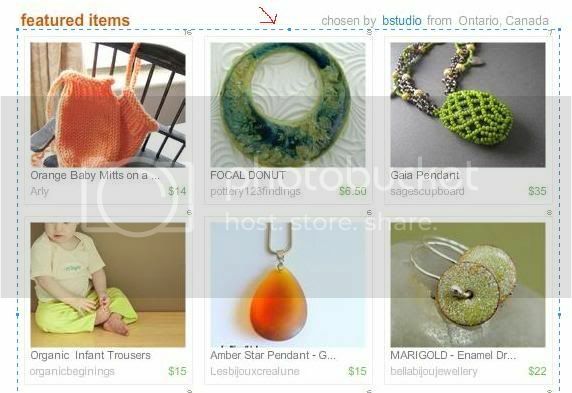 To find quality handmade products from Canada, add the tag OhCanadaTeam to your searches on Etsy.com. 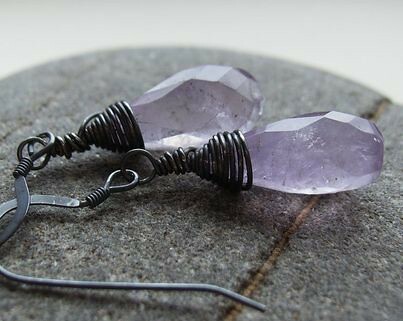 The first ever Oh Canada Team Friday Finds feature is a gorgeous pair of amethyst earrings by Joanniel. Made with genuine light amethyst drops and wrapped with oxidized silver wire, these pretty jewels are lovely for February. Wouldn’t they look fabulous with a gray eyelash yarn scarf and black blazer? To see more handcrafted designs like these, visit Joanniel Creations. A few more Oh Canada team members have been featured today as well. Check out the Valentine Gift Ideas for Her Etsy Voter to see Vintage Letterpress Initial Necklaces by Gwen Delicious, and Wood Veneer Magnets with Vintage Lace by Botanical Theatre. 1. Visit the featured shops and purchase an item that you like from one of them. 2. Head back to the treasury and leave a comment mentioning the shop you bought from, and the transaction ID. 3. An item from your shop will be selected to replace the shop that you bought from. Congratulations to all of the featured shops! 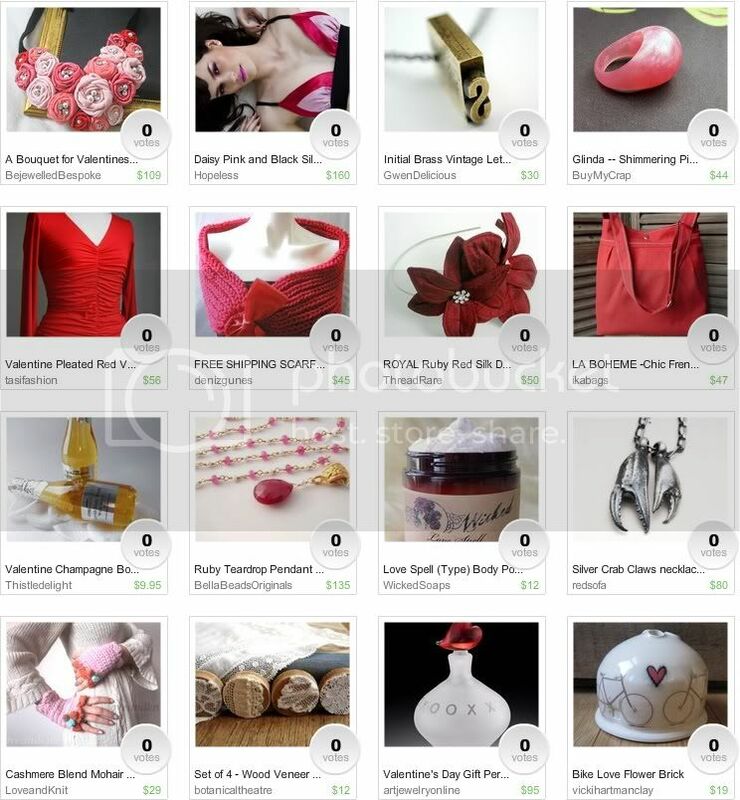 Don't forget to visit the Valentine Gifts for Her Voter and promote an item that you like from the list. The Oh Canada Team is now on Flickr! Team members are invited to join this exclusive Flickr group and add their very best photos to the pool for everyone to enjoy. By joining this photo sharing community, Oh Canada will be able to share it’s creativity with plenty of admirers, bloggers and ogglers of all kinds. The secondary purpose of the Oh Canada Team Flickr group is to create an archive of photos that will be used in an upcoming regular feature here on the blog called “Friday Finds”. Every Friday, an item from one of our team members will be put in the spotlight! Team treasuries will also be saved in the group pool, so that we can all see the wonderful collections featuring team members. 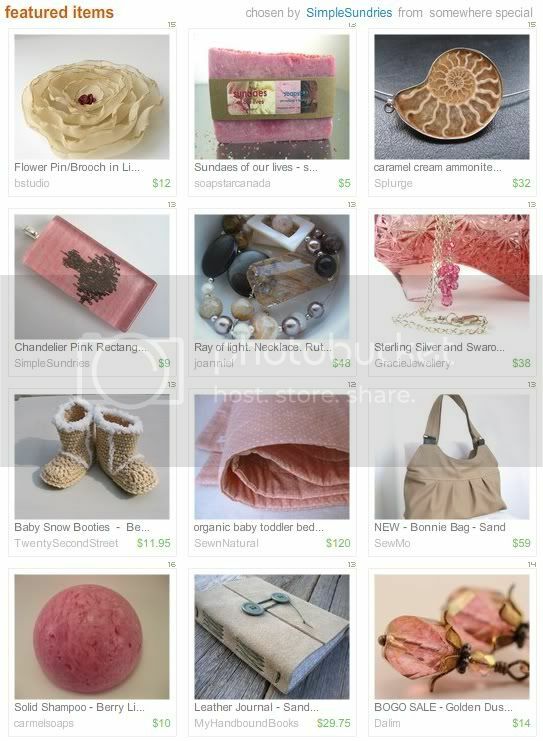 If you make a team treasury, or one of your items is featured in one, send a link to me, Mortira, and it will be added to the pool and featured here on the blog. To take part in the team Flickr album, you will need to sign in to Flickr with a Yahoo ID. When you visit the group home page, you should see the “Join?” link. When you join, please leave a link to your shop in the message section so that I know who you are. I have set up a few guidelines for joining the Flickr group, to help get our team members working together and looking spiffy. This will help us make a name for ourselves in the Etsy community and build a reputation for being an awesome collection of shops. 1: Mention the Oh Canada Team in your shop announcement or profile. 2: Have your shop policies section filled in. Once you’ve been approved, you will be able to add photos from your Flickr photo stream to the team pool. The current limit is 3 photos per day. Remember to upload your very best photos for the “Friday Finds” feature here on the blog. 1: One photo per item or shop listing. If you want to add a new photo for an item you’ve already added, please remove the original and replace it. This will keep the album tidy and easy to browse. 2: Flickr’s user guidelines do not allow shop links or promotional material in photo descriptions, Please do not put your shop URL or web address in your description, or mention Etsy.com. 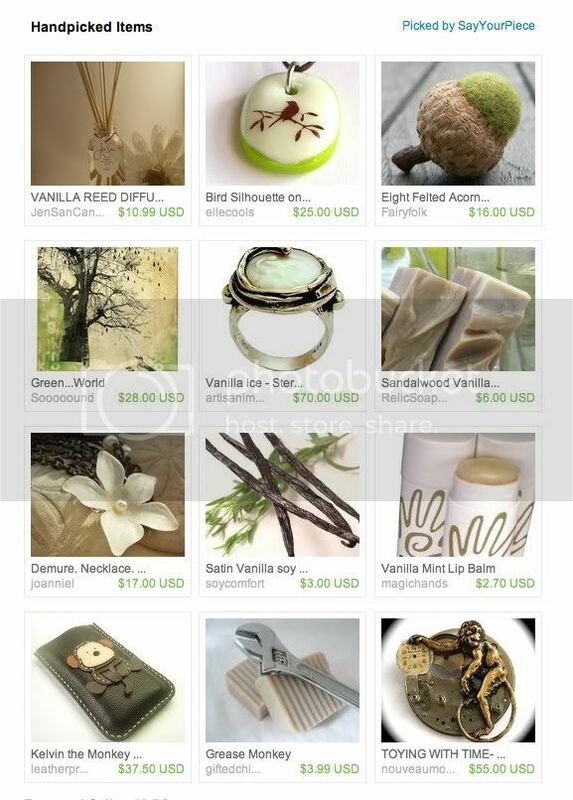 You can use your Etsy username, so that interested viewers can find you. For example: “Designed by bstudio” or “Created by Poocheze”. The group’s description, which is visible to non-members, explains briefly how to search for shops by username. 3: Use the team tag “OhCanadaTeam” on the photos that you add to the pool. 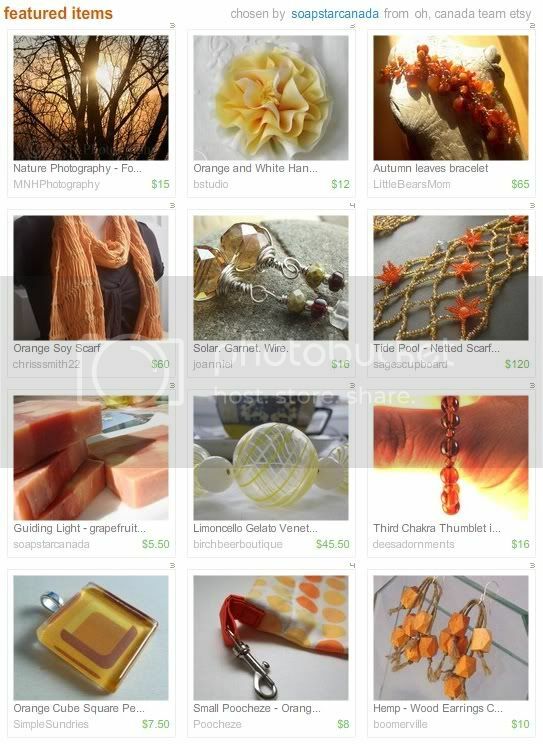 You are allowed to use “Etsy” as a tag on your photos (just not in the description). It’s also a good idea to use tags like “handmade” if they apply. You do not have to geotag your photos, but if you want to add one or more of them to the map, it will make the photo pool more interesting for visitors. Team members are also welcome to add team and Etsy related discussions to the group, so feel free to chat and interact! If any of our bilingual team members would like to volunteer to translate our group description for greater visibility, please let me know. More details on using the team photo pool can be found on the Oh Canada Flickr Group page. To celebrate our new Flickr group, here is a collection of some amazing art and photography prints from the Oh Canada team, curated with the Byhand.me spotlight tool. 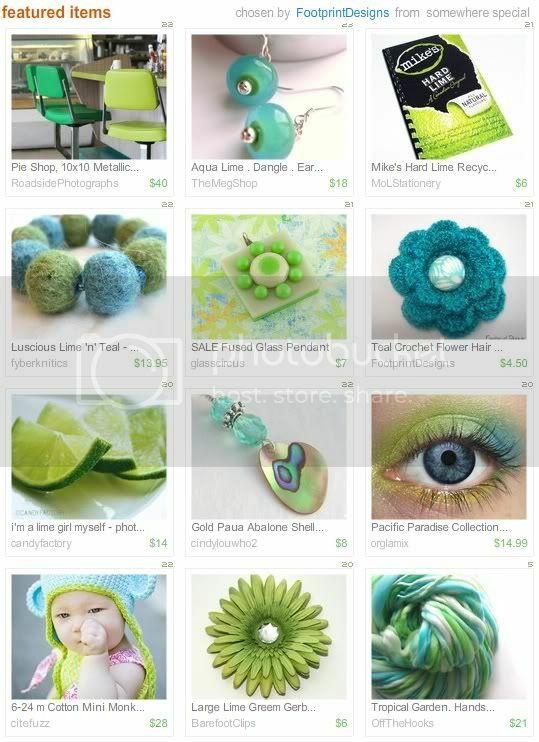 This wonderful collection of Etsy picks features lime green items with a splash of cyan blue. 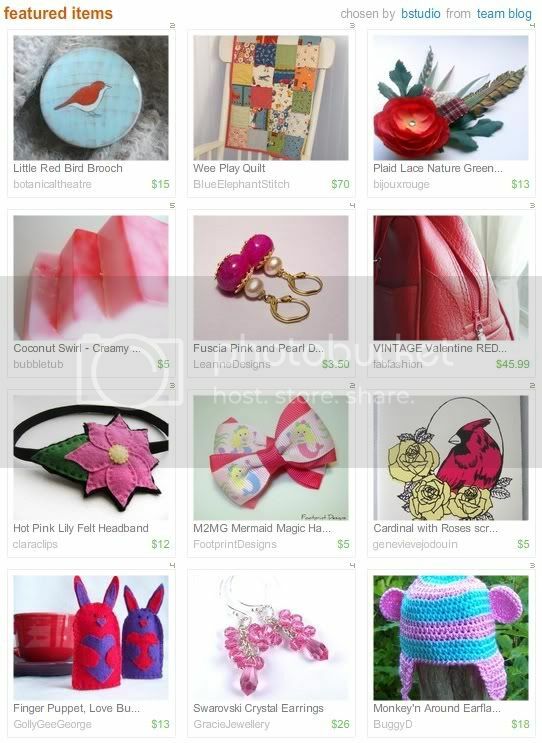 Some of our Oh Canada Team members are featured, including a Fused Glass Pendant from Glass Circus, and a Crochet Flower Hair Clip from Footprint Designs. You can view Lime with a Twist until February 5th. The traditional birthstone for the month of February is the beautiful violet amethyst. This gemstone is a form of quartz, which gains its marvelous coloring from iron and aluminum impurities. Amethyst has been valued for the gorgeous purple color for centuries. In Ancient Greece, the legend of the amethyst origins was attributed to Dionysus, the god of ecstasy, wine, and theatre. There are many different versions of the tale, but most involve a chaste young maiden who could not repel the advances of the randy deity. The hunter goddess, Artemis, helps the girl by transforming her into a white stone. Wine stains from a grief stricken Dionysus turn Amethystos from white to purple. It is believed that amethysts have the power to protect the wearer from excesses, such as intoxication and other forms of temptation. The Greeks often made wine goblets and ewers from amethyst in the hope that it would reduce the potency of wine. It has also been used to protect from snakes, locusts and insect bites. The amethyst is a symbol of friendship, purity, and good health. 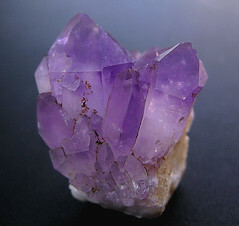 Most amethysts of gem quality are mined in South America and Madagascar. There are also man-made amethysts, which are created in laboratory settings and are very close in quality to nature’s version. Faux glass amethyst rhinestones and beads are manufactured by Swarovski, as well as other bead makers and glass artists. 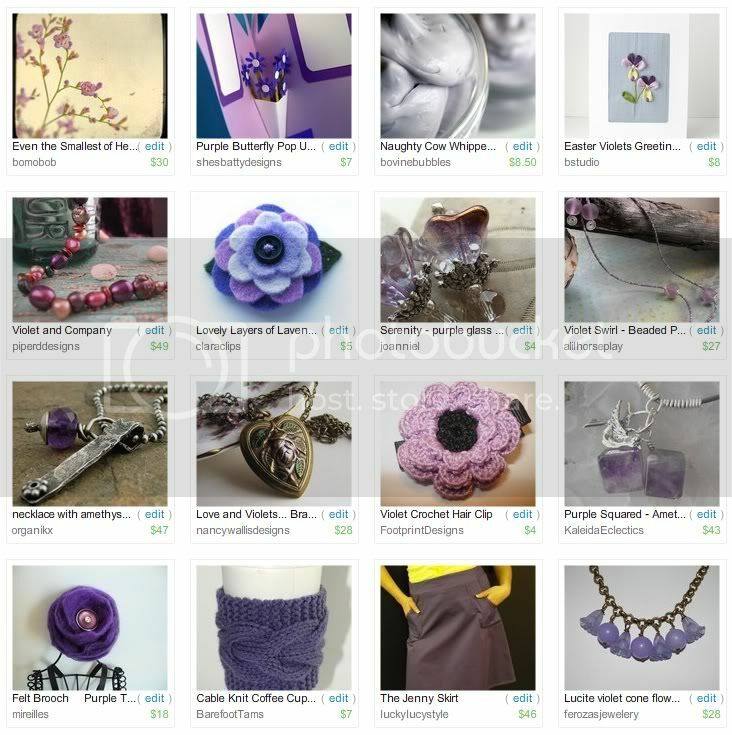 In honor of February’s birthstone, here is a selection of wonderfully purple creations from the Oh Canada Team. 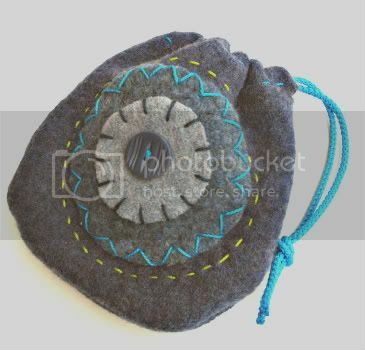 To see even more handmade items in your favorite colors, add the tag “OhCanadaTeam” to your searches on Etsy.com.